In June, 1969 Edward Zebrowski held a massive party at Indianapolis’ Claypool Hotel. 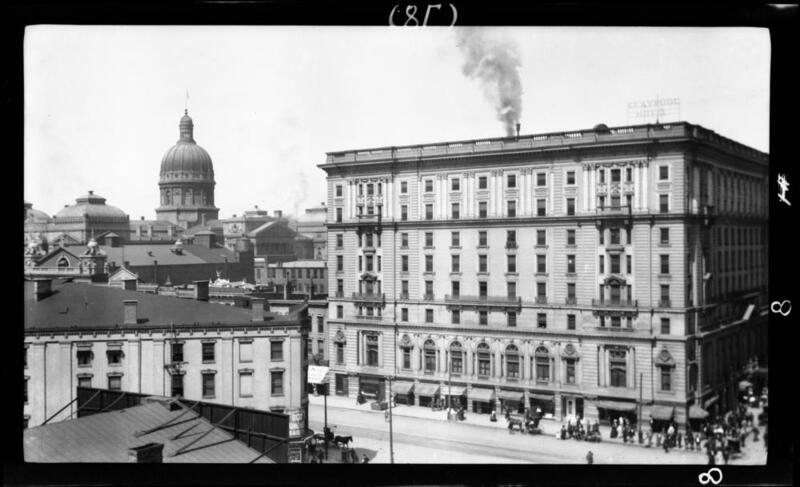 The lavish Claypool opened in 1903, distinguished by its gargantuan lobby and opulent meeting rooms and the novel luxury of a private bath in each of the 450 guest rooms. Numerous conventions met at the Claypool, and in its strategic location blocks from the State Capitol the Claypool was home to both the Republican and Democratic parties and hosted a stream of politicians over three-quarters of the 20th century. On June 23, 1967, though, 300 Claypool guests including the visiting Tacoma baseball team were forced out to the street by a fire, and by the time Edward Zebrowski had his party in 1969 the hotel faced the wrecking ball.